Conceived as an initiative in 2004 by Lumina Foundation and seven founding partner organizations, today, Achieving the Dream is leading the most comprehensive non-governmental reform network for student success in higher education history. With over 200 institutions, more than 100 coaches and advisors, and 15 state policy teams – working throughout 35 states and the District of Columbia – the Achieving the Dream National Reform Network helps more than 4 million community college students have a better chance of realizing greater economic opportunity and achieving their dreams. 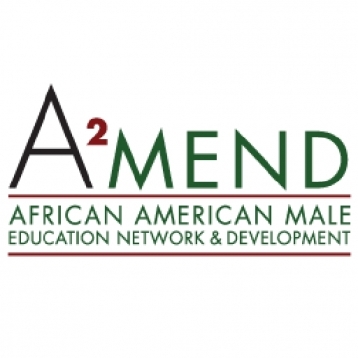 to act as a resource where African American male community college administrators can access the experience and expertise of others across the system. American College Personnel Association (ACPA) – College Student Educators International supports and fosters college student learning through the generation and dissemination of knowledge, which informs policies, practices, and programs for student affairs professionals and the higher education community. ACPA – College Student Educators International leads the student affairs profession and the higher education community in providing outreach, advocacy, research, and professional development to foster college student learning. The Association of Community College Trustees (ACCT) is a non-profit educational organization of governing boards, representing more than 6,500 elected and appointed trustees who govern over 1,200 community, technical, and junior colleges in the United States and beyond. Located in Washington, D.C., ACCT is a major voice of community college trustees to the presidential administration, U.S. Congress, the Departments of Education and Labor and more. create and foster networking opportunities. be a highly effective and innovative organization. Project MALES encompasses three interrelated initiatives with national, state, and local impact: nationally, it oversees an ongoing research agenda focused on understanding the experiences of Latino males across the education pipeline; statewide, it convenes a P-16 Consortium focused on the success of male students of color in six major urban areas through its Texas Educational Consortium for Male Students of Color; and locally, it coordinates a mentoring program that aims to cultivate an engaged support network for males of color at UT-Austin and in school districts across the Central Texas community, and serve as a model for other mentoring programs across the state. Project MALES embodies praxis by fusing these initiatives through strategies that employ mentoring, research, collective impact, and dissemination. Project MALES Student Mentoring Program has a strong focus on mentoring, leadership development, community engagement, and collective impact, all of which serve to address the goal of enhancing the overall academic success and retention of male students of color in both secondary and post-secondary education. Project MALES is focused on the goal of enhancing Latino male student success at all levels of the educational spectrum.